Hello guys.. Today am back with review of another blue heaven product. I have already reviewed some of the blue heaven products and still I have some products to be reviewed on my blog. There are many hits and misses from my blue heaven haul. 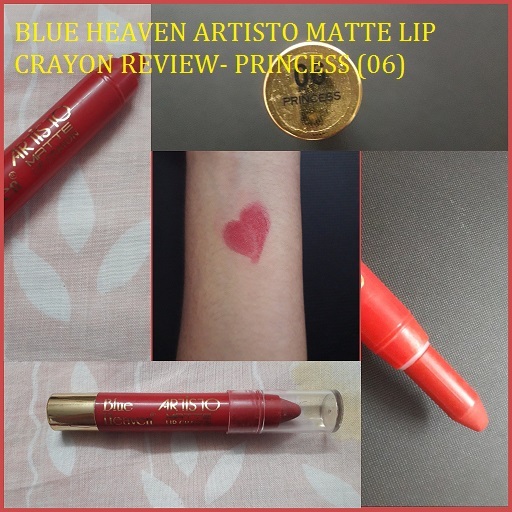 Today am going to review Blue heaven artisto matte lip crayon. Read on more to know whether you should try this product or give it a miss. Rs 150. You can buy this here. The Blue heaven artisto matte lip crayon comes in 12 different shades. 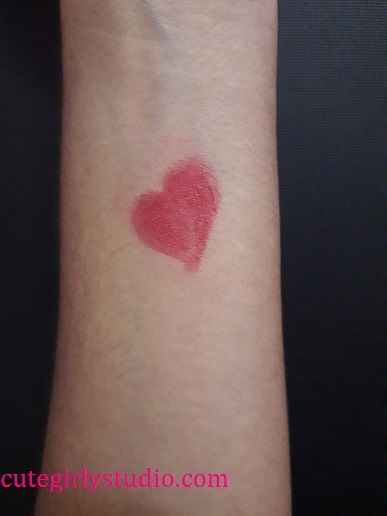 I bought it in the shade princess(06) which is a beautiful pinkish red colour. This would suit people with fair to medium skin tone. The Blue heaven artisto matte lip crayon comes in a retractable pen type packaging. The colour of the pen is similar to the shade of the crayon. The name of the shade is mentioned at the bottom of the pen. The packaging is good and it is easy to find a crayon of particular shade if you are owning more than 2 crayons from this range. The cap of the lip crayon is not tight like many other blue heaven products. If you carry it in your bag then there are chances that the cap opens and spoils your bag. I would rate this 3.5/5 for packaging. The Blue heaven artisto matte lip crayon is the first lip crayon in my vanity and so I cannot compare this with any other crayon. The texture of the crayon is creamy and it glides smoothly on my lips. It is buttery that it actually feels like applying a lip balm. Though the lip crayon has buttery texture, it dries out the lips. 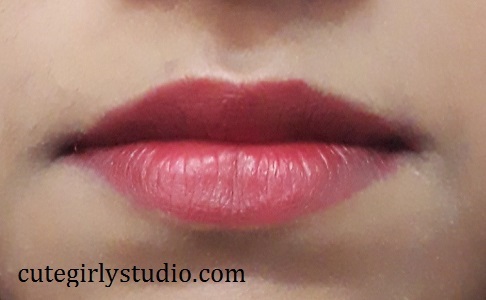 The finish of the lip crayon is not completely matte. It is between creamy to matte finish. If you are looking for a matte crayon then this is not for you. Overall I would rate it 4/5 for texture. DOES BLUE HEAVEN LIP CRAYON HAS GOOD PIGMENTATION? The Blue heaven artisto matte lip crayon has good pigmentation. I’m actually impressed with the pigmentation. One swipe is enough to give opaque coverage. It hides pigmented lips in one swipe itself which is steal for this price. I don’t know about other shades but this shade(princess) has awesome pigmentation. Even after fading, this lip crayon leaves a beautiful tint on the lips and so you can skip reapplication easily. It doesn’t look patchy even after fading. I would rate this 5/5 for pigmentation. DOES THE BLUE HEAVEN ARTISTO MATTE LIP CRAYON TRANSFERS? Yes girls.. The Blue heaven artisto matte lip crayon transfers a lot. If you have coffee after applying lip crayon then the coffee mug will have the stain. If you have meals then the spoon will have the stain. It literally transfers completely. Even if you touch your lips with fingers, this will stain your fingers. This is the major draw back in this lip crayon. I would rate this 1/5. The Blue heaven artisto matte lip crayon doesn’t have long staying power due to it’s transferring nature. It stays on my lips for about 3 to 4 hours and after fading it leaves a pinkish tint. Since it’s not patchy I don’t mind reapplying it. The staying power of this lip crayon is average. I would rate this 3/5 for staying power. No. 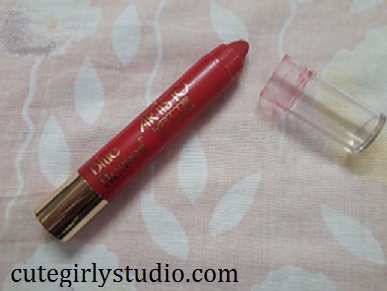 Though I love the shade, I’m not impressed much with this product due to it’s transferring nature. 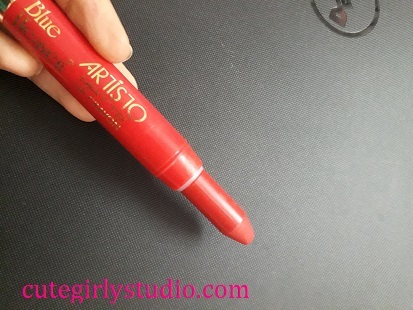 If you have used this lip crayon already please share your opinion in the comments section.